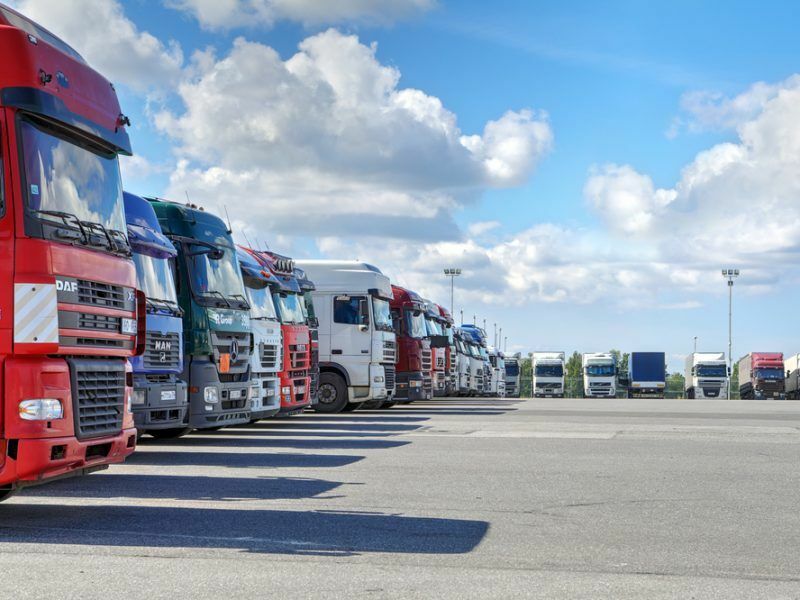 The European Commission’s proposal to mandate a 15% cut in CO2 emission from trucks by 2025 is overly ambitious, according to industry association ACEA, which said a 7% objective would be more “realistic” given the technologies currently available. The EU executive unveiled the bloc’s first-ever emission target for trucks in May as part of a two-step approach leading to 2030, when the Commission proposes to aim for an aspirational 30% CO2 reduction goal. “All sectors must contribute to meet our climate commitments under the Paris Agreement,” Climate Commissioner Miguel Arias Cañete said as he unveiled the proposals in May, insisting the 2025 interim target can be met with existing technology. CO2 emissions from trucks will be regulated under EU law for the first time as part of a package of new rules that also aims to increase efficiency and improve road safety. But while ACEA supports the step-wise approach, it says the mandatory 2025 objective should be revised downwards. “Given the state of the market and technology today, a 7% CO2 reduction by 2025 would strike the right balance between being both ambitious and realistic,” says ACEA in a position paper published on Monday (27 August). For 2030, it suggests a 16% reduction goal – around a half of the 30% proposed by the Commission. Moreover, a planned 2022 interim review should also allow a downward adjustment of the 2030 objective, it argues – not just upward. ACEA’s main argument is that truck makers are already implementing CO2-cutting measures wherever possible because emissions are closely linked to fuel consumption, which is the single most important selling point for trucks. Fuel represents about 30% of hauliers’ costs, according to the industry association. Trucks also have a longer lifetime than cars – about six times more – and therefore take longer to replace. The industry is particularly worried about the penalties foreseen against manufacturers in case CO2 targets are not met, saying the Commission defined its 2025 and 2030 objectives by comparing CO2 emissions from vans with those of trucks, measured in grams of CO2 per kilometre. However, ACEA says “this comparison is misleading, as a heavier truck carrying a greater load is more efficient than a lighter one” and should therefore be measured in grams of CO2 per tonne-kilometre. 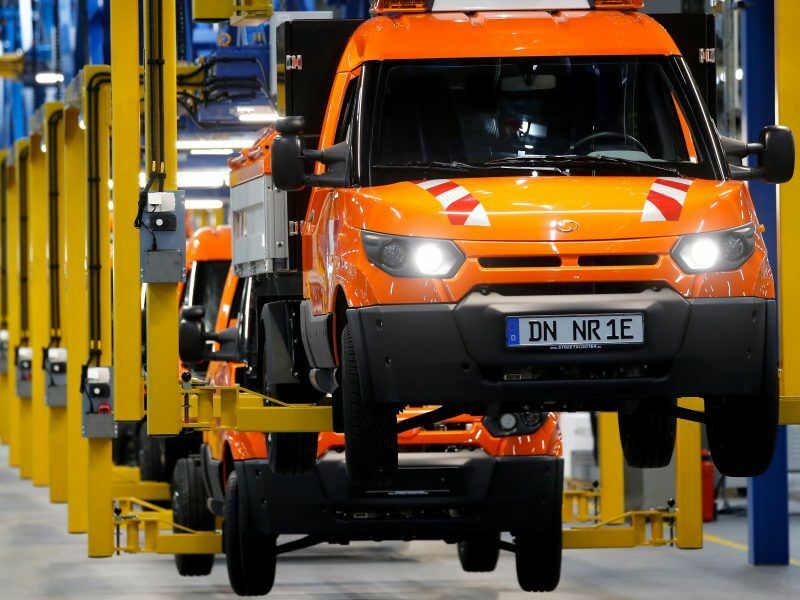 MAN, the German truck manufacturer, has calculated that the proposed fines of €6,800 per exceeded g CO2/tkm could quickly add up to the “three-digit million range” for manufacturers, which could threaten some of them with bankruptcy. Trucks “are not simply big cars,” ACEA argues, rejecting the Commission’s approach as overly simplistic. “Heavy-duty vehicles are business tools owned by professionals who, for commercial purposes, are always looking for the best performing vehicle, taking into account fuel consumption and efficiency,” it says. The official position from ACEA comes days before the European Parliament kicks off discussions on the proposal to limit trucks’ CO2 emissions. Bas Eickhout, a Dutch lawmaker, will present his draft report to Parliament’s environment committee on Wednesday (29 August). Eickhout, a firebrand MEP from the Greens political party, has called for determined EU action in the face of diesel pollution and climate change, and wants to ramp up the Commission’s proposed CO2 reduction target to -25% by 2025, going up to -45% by 2030. 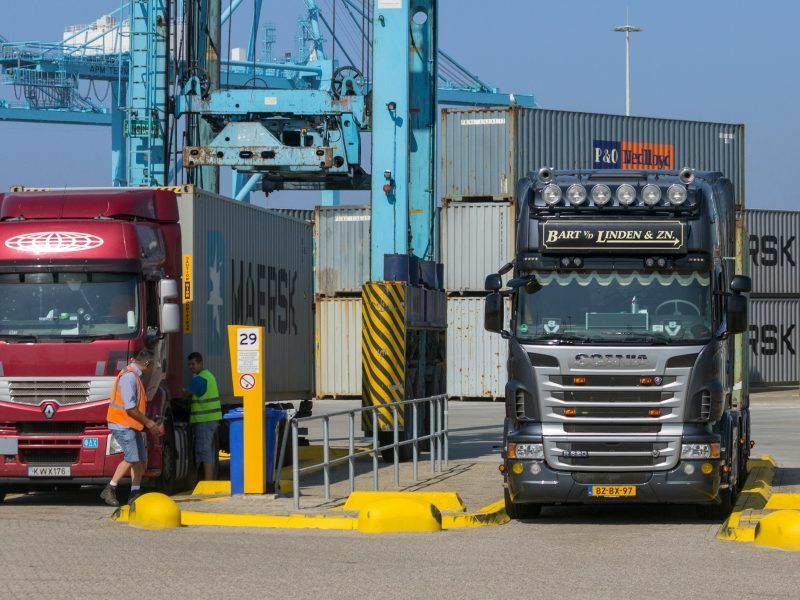 That position is backed by a group of four EU countries – including the Netherlands, Ireland, Lithuania, and Luxembourg – which sent a letter to the Commission earlier this year, calling for a CO2 target for trucks of at least 24% for 2025 and 35-45% for 2030. France has also called for “ambitious objectives” but did not give specific figures. The Dutch MEP has also called for “a binding minimum share of zero- and low-emission vehicles for each manufacturer both in 2025 and in 2030”. By that date, he says all new buses placed on the EU market should be zero-emission. “The market for zero-emission regional and urban delivery trucks is changing fast,” Eickhout argues in his report, saying those vehicles are expected to reach cost parity with diesel in Europe “within the next five years”. There is “a clear environmental and economic interest in marketing such vehicles as soon as they are available,” Eickhout says, arguing a minimum share will ensure investment certainty for the rapid uptake of electric buses in the EU. Electric trucks will come – and fast. More and more studies show that they are not only feasible to build, but also profitable to operate. And zero emission trucks will be needed to meet the Paris climate goals, write Stef Cornelis and Thomas Earl. The usual speacial pleading – it is a straight re-run of the Cars & Co2 of 2009 – which led to BAU & minimal action by Euro OEMs. The truck fleet could rapidly move to CNG (or LNG). In and of itself this would not reduce CO2 emissions – but would address particulates. Step after that: SNG (synthetic natural gas) which would be carbon neutral. Tech for SNG is there & scalable. Question is: will society pay the cost (which is multiples of CNG). Operators of big truck fleets (40 tonners) renew their trucks every 5 years. We all know that the only option for trucking is hydrogen fuel cells. Now; as I have just explained elsewhere, co-opting batteries is the usual excuse for those who want absolutely no change to the status quo and are confident that decarbonisation is never going to happen – certainly not via battery-powered trucks. The weight is 2.5 times that of a traditional semi truck, and that is is only for 800km which is half the distance of a diesel or hydrogen version. And the charging time is 5-6 hours using a fast-charger, meaning a lot of space required for multiple vehicles at the same time. What the Commission and Transport & Environment are doing are trying to avoid hydrogen because much of their funding comes from powerful lobby groups who would prefer if this never happens. 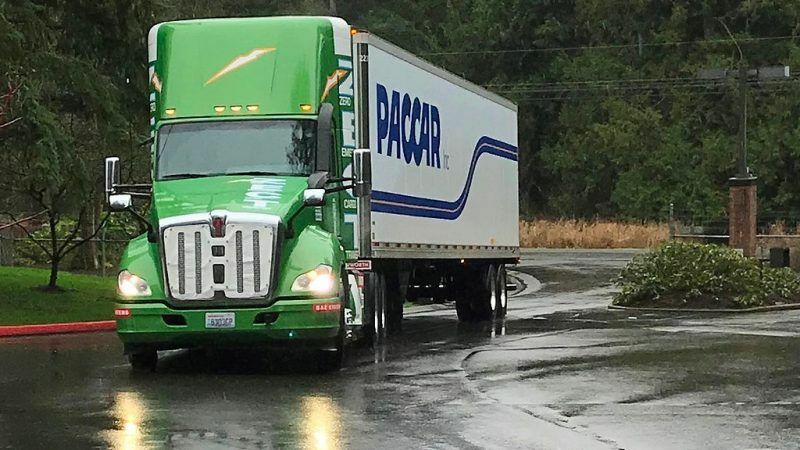 But hydrogen makes perfect sense, and fits perfectly with trucking – highlighting the fact this is a direct affront to accepted wisdom on the subject. The Commission spends a few billion in direct subsidies to biofuels every year, famously reaching almost €10 billion back in 2011 (euractiv .com/section/energy/opinion/how-eu-subsidies-inflate-biofuel-prices/). Nothing like this amount of money goes to any serious kind of decarbonisation; that being primarily hydrogen. Fully one-third of Europe’s biofuel is imported palm oil which is 3 times as emissions intensive as traditional fossil fuel, and has now been mandated by the Commission right up to 2030, after an initial review of the situation earlier in the year (when there was actually some talk of limiting use of the ‘fuel’). So: any sane person knows burning down rainforests in Indonesia to grow palm oil for EU transport use is plainly a bad idea. The massive subsidies only aggravate matters; *considering there are genuine alternatives*. And so I will outline briefly what a little under just *one* billion buys when the EU Commission and its many subsidiaries are not corrupt fraudsters, cheating us and ultimately life on Earth now that time has run out. But anyway. Nikola have signed a deal with Nel Hydrogen ASA for 1 GW of electrolysers and refuelling equipment. This will equate to approximately 700 refuelling stations, and Nel have already started work on the manufacturing facility; which will have an output of 360MW of electrolysis per year. This is similar to Thyssenkrupps 600MW of hydrogen electrolyser manufacturing facility, although certainly the second biggest in the world. The trucks have numerous orders ($8 billion in pre-orders, with all deposits now paid back), will have a range of 1,800km and fuel will officially cost between $5-6 per kg, which is a 20% cost saving. This would be a lot more in the EU. So that fact that both Transport & Environment and the Commission are simply burning biofuels, right up to 2030 despite the fact we all know its worse that fossil fuels, says a lot. It says to me there are ‘special interests’ at work. b) As the vice president for Hyundai R&D explains, the problem with EVs is the price and growing scarcity of rare metals and elements used in lithium-ion batteries, such as cobalt or manganese, as potential brakes on the widespread introduction of battery-electric cars. Basically, he explains that lithium technology is going to reach a performance barrier around 2025, and after that they will either have to start developing something else or be stuck with a diminishing resource and therefore an elevated cost, as fuel cells become cheaper and cheaper. c) The materials issue means that we are very unlikely to ever have low cost batteries in volume because even if we do find enough it is so expensive to process, it doesn’t make it worth it. Mining companies know this and don’t even want to operate the processing themselves because there is no money to be made. This is simply untrue. We already know its profitable because Nikola are building 700 stations just for the money they will receive in fuel savings on their own trucks. This is a lie, but it goes a bit further; the entire idea of a renewables-based electric grid is that overbuild is unavoidable if we are to move in any way away from massive quantities of fossil fuel backup or transmission which is impractical. As Eurelectric points out, 15-20% of total EU electricity by 2050 is going to have to come from hydrogen electrolysis, and they represent 3,500 utility companies. Electrolysis is now cheap, but because none of these people can be bothered to find out, we are using information from a decade ago. And transport is the perfect use of electrolysis. This 3-5 times figure is simply made up. Electrolysis is 80-82% efficient, meaning a loss of 20% on the electricity consumed. And its cheaper at the pump in the US given their figures, using renewable energy. In fact there is no other way to use renewable energy in large amounts – this is the only sane and logical way of storing it and using it as necessary. This is complicated; but it is worth understanding: electrolyser operators are a valuable addition a renewables-based grid because in times of low demand, they make use of low cost energy and in times of low supply the switch off. This is what is known as ‘Demand Response’ and will become an increasingly vital part of the electricity grid not just in Europe but everywhere. Electrolyser operators can therefore derive an income from this and this hydrogen will also be used for the full range of energy needs within the economy; steel, ammonia, refinery H2, chemicals, transport, trains, methanised gas in the gas grid etc. Numerous reports now exist regarding power-to-gas generally, and sectoral integration specifically. This is not always obvious and requires some thought. There is no alternative to hydrogen, and various people need to start to develop a better understanding of how a functional energy system is going to work.